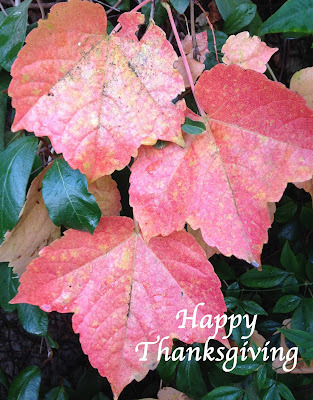 Happy Thanksgiving to all of my friends and family. I am truly grateful to have all of you in my life. Thank you. 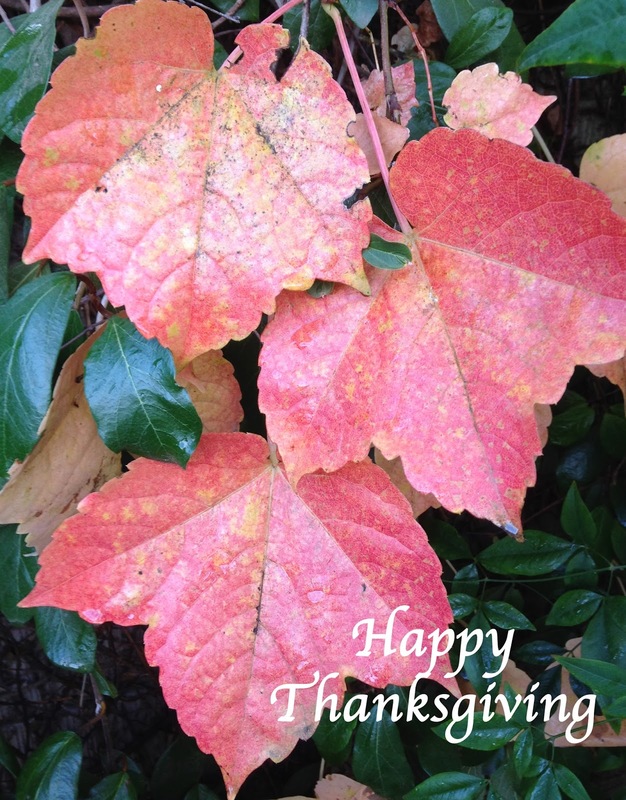 I hope this is the beginning of a joyful season of celebration for all of you! 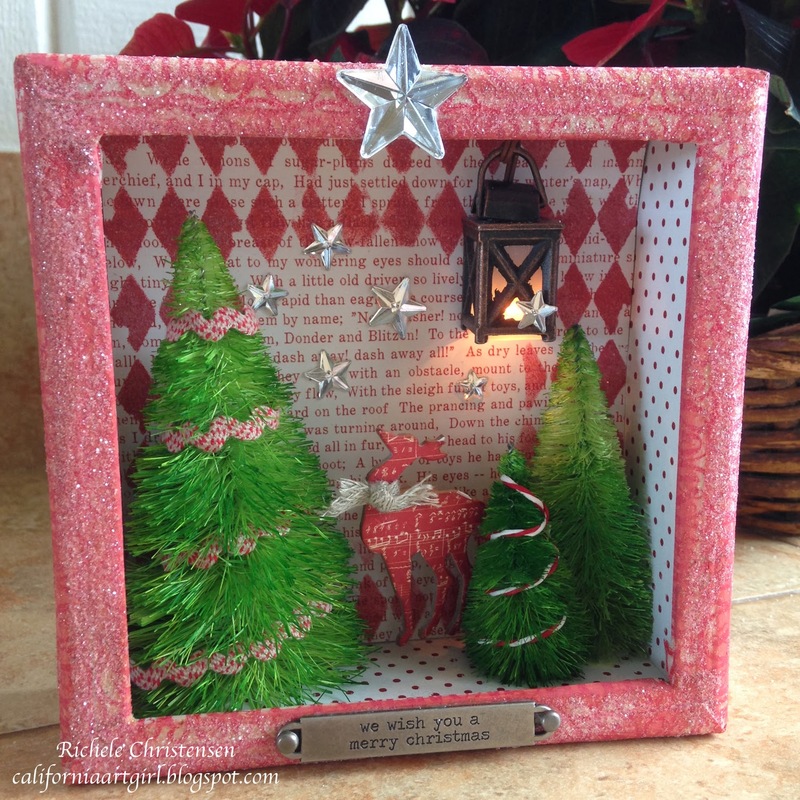 I love the lantern...so sweet the way it sheds light on the deer....such a lovely piece, and Ilove the way you used the stencil. 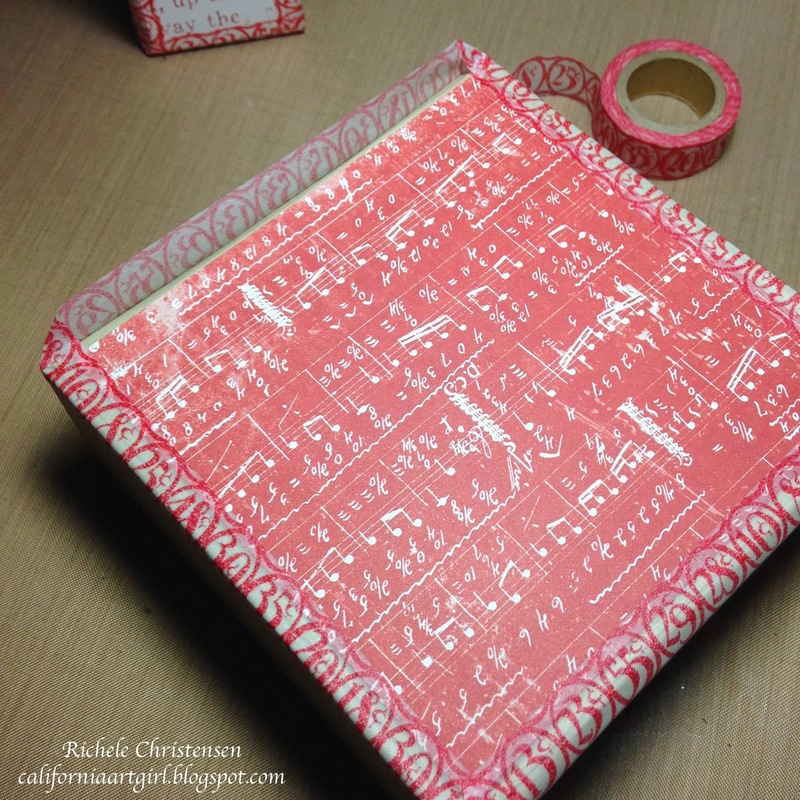 I just recently completed CC102 with Tim and discovered the joy of working with stencils. I'd love to win! this is really cute. 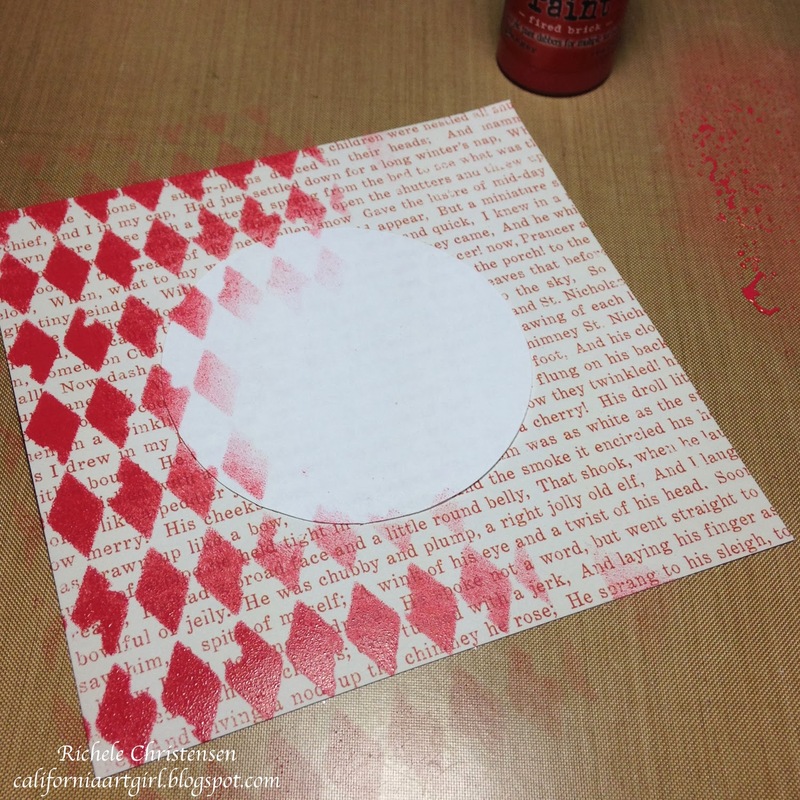 The stencil adds depth to the papers. Add the thought of dying the trees makes so much sense to me!!! 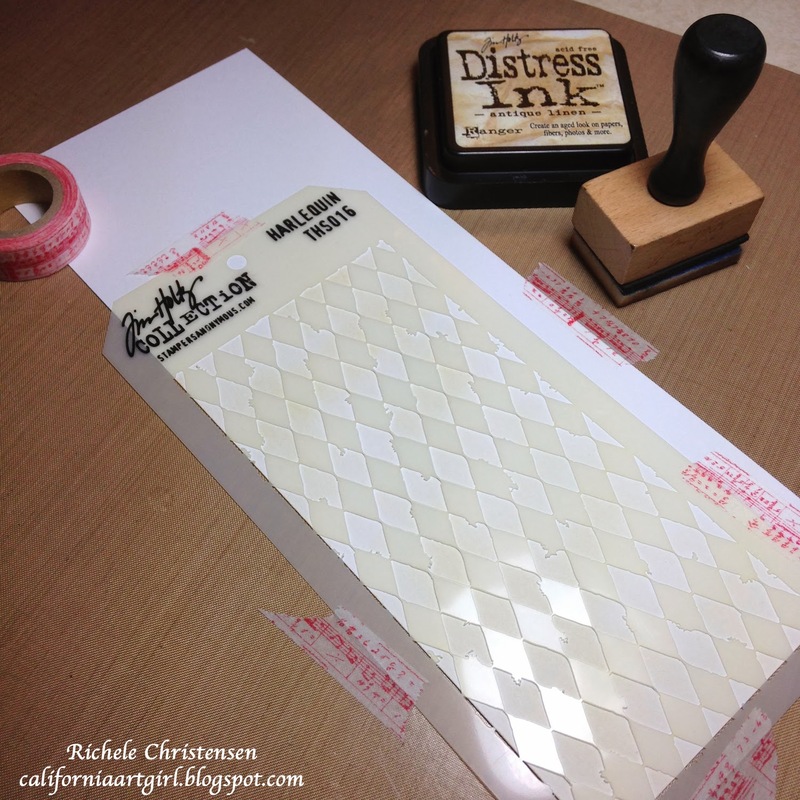 Please email me your address and I'll get your stencils out so you can start playing! Hi friends! I'm back with more layering stencil inspiration and another give away!! Yes, I'm giving away 2 Harlequin Layering Stencil by Stampers Anonymous too! Just leave a comment for a chance to WIN! I think these would make great gifts for the holidays or a lovely decoration in your home. Cut four papers for the sides of your configurations box 1 3/4" x 5 1/2". Cover all the edges using the Merriment Tissue Tape. Start at the corners then work the outer edge. Now add the Tissue Tape to the front face. Cut a paper for the backing 5" x 5". 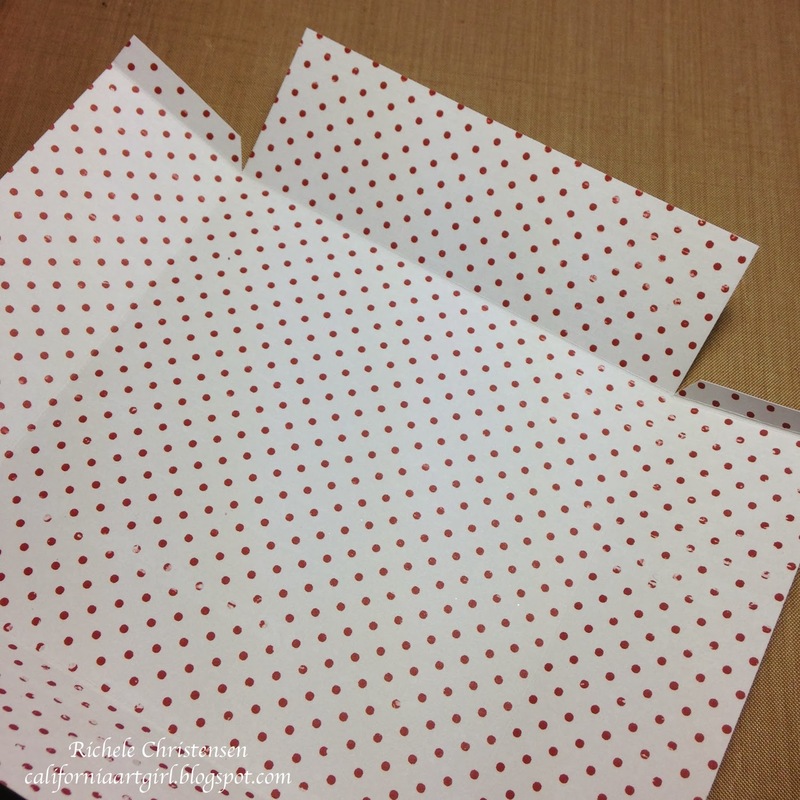 Add Tissue tape to the back edge. 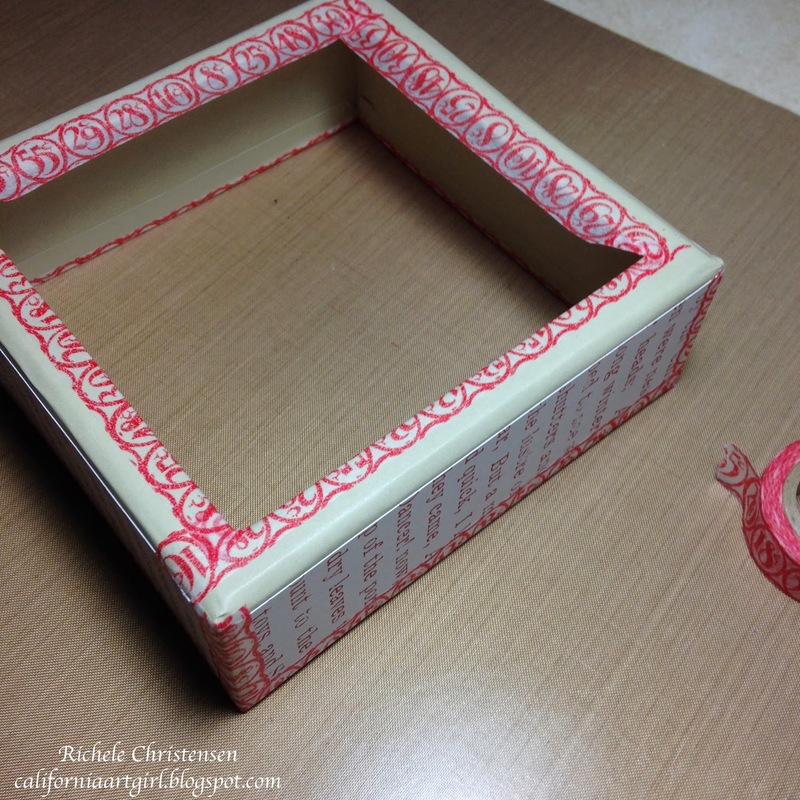 Cut the Paper for lining the box inside to 8 1/4" x 8 1/4". Score 1 5/8" from all four sides. Cut on the score line and create a tab as shown. 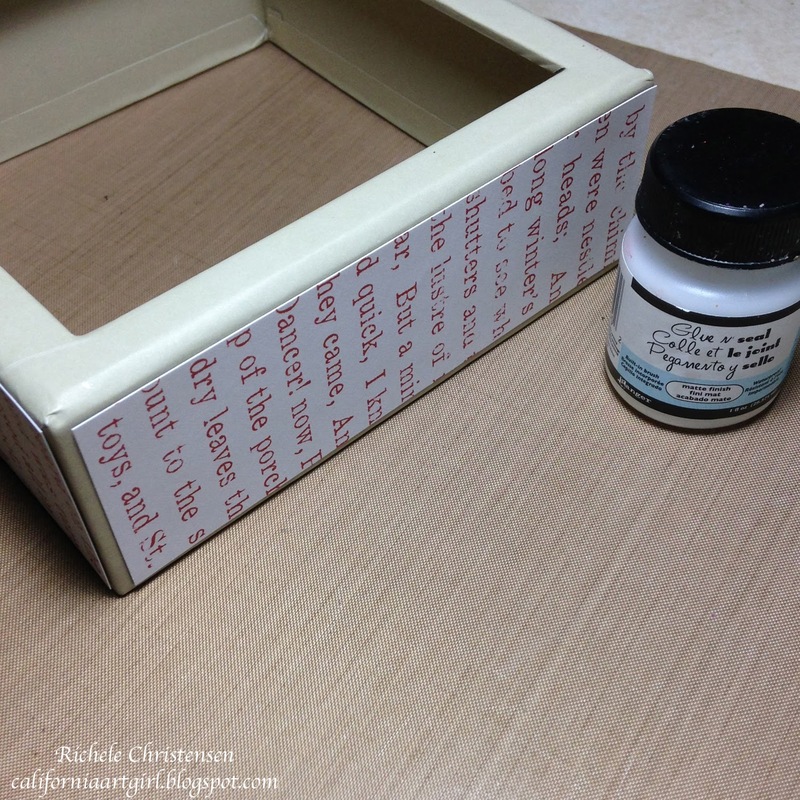 Add Glue 'N Seal to the bottom of the box and adhere paper to the box. Cut a backing paper 5" x 5" for the back of the box . 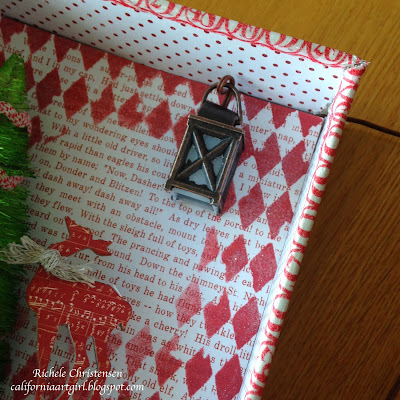 I like to use the 6" x 6" paper because they have a smaller print. 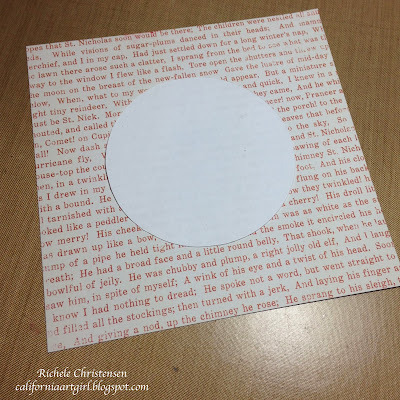 Die cut or cut a circle for a mask. Lay the paper in the center. Carefully lay the Harlequin Layering Stencil over the backing paper. 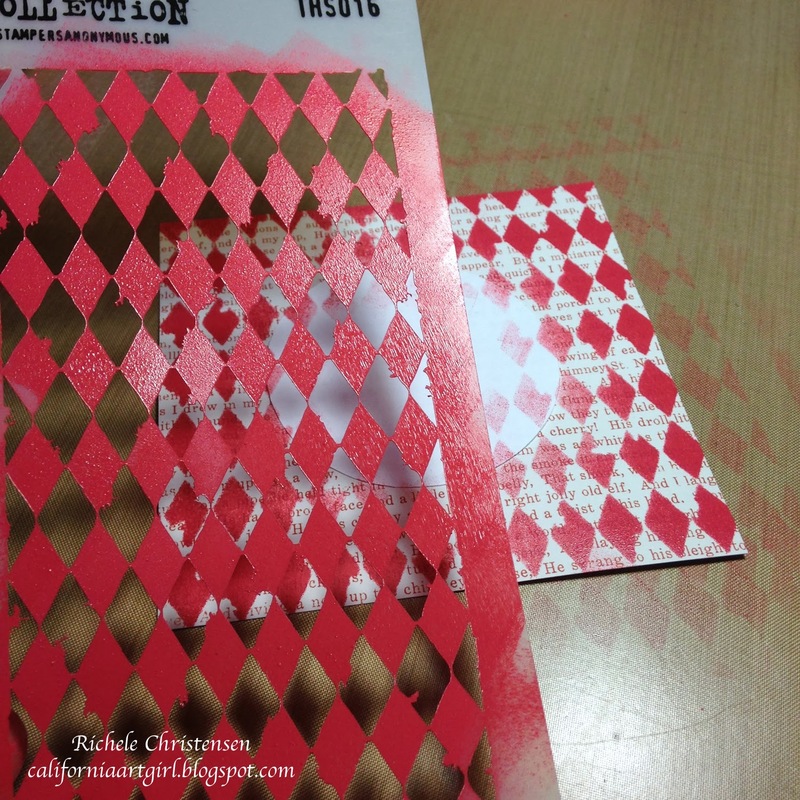 Using a Ink Blending Tool with foam, color the Harlequin with Fired Brick Distress Paint. Color the other side in the same fashion. 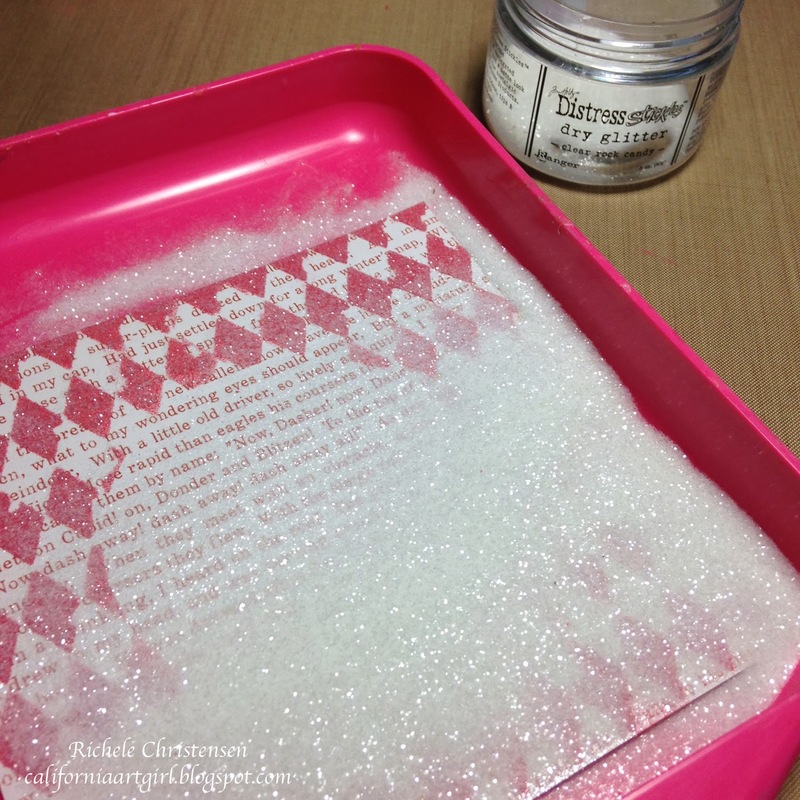 Before the paint dries pour Rock Candy Distress Glitter over. Pour off the excess. 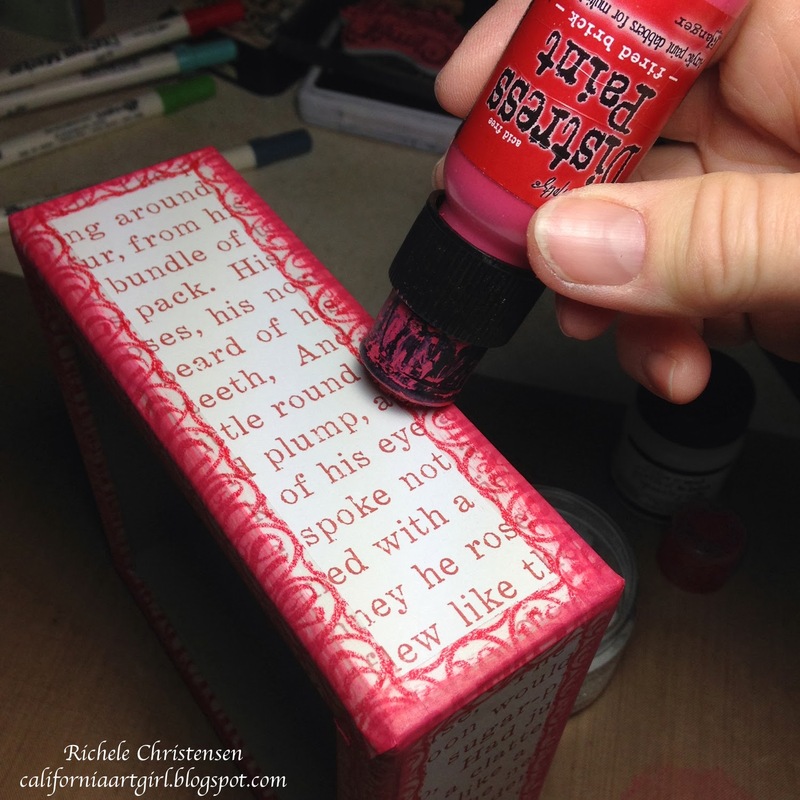 Color the edges with Fired Brick Distress paint. Lay the Harlequin Layering Stencil on the side of the box. 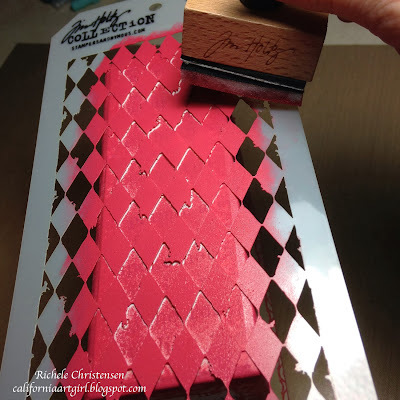 Using a Blending Tool and Fired Brick Distress Paint pounce the color through the stencil. 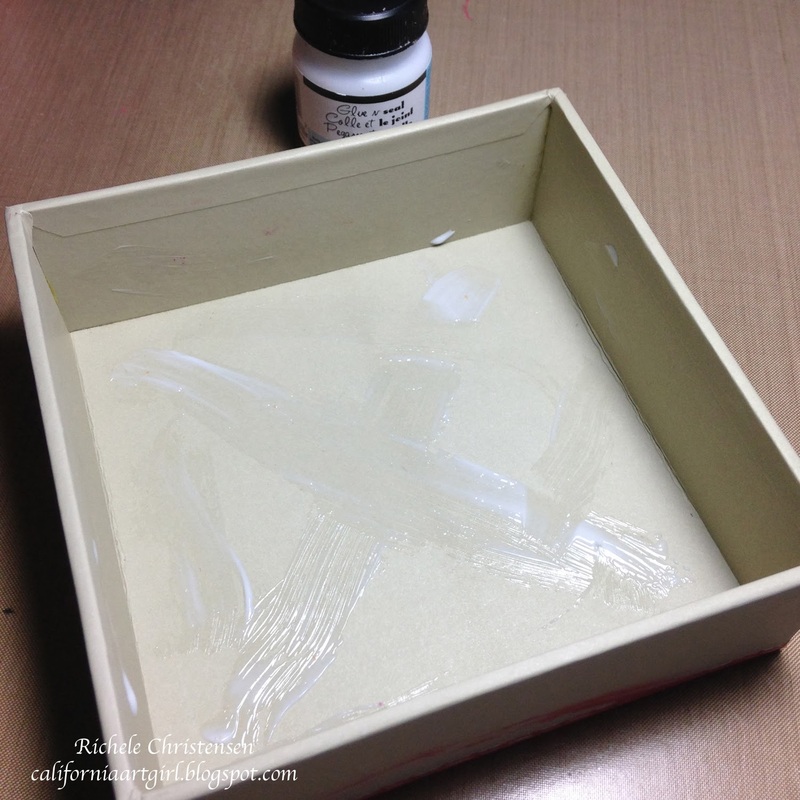 Add Rock Candy Distress Dry Glitter before the paint dries. 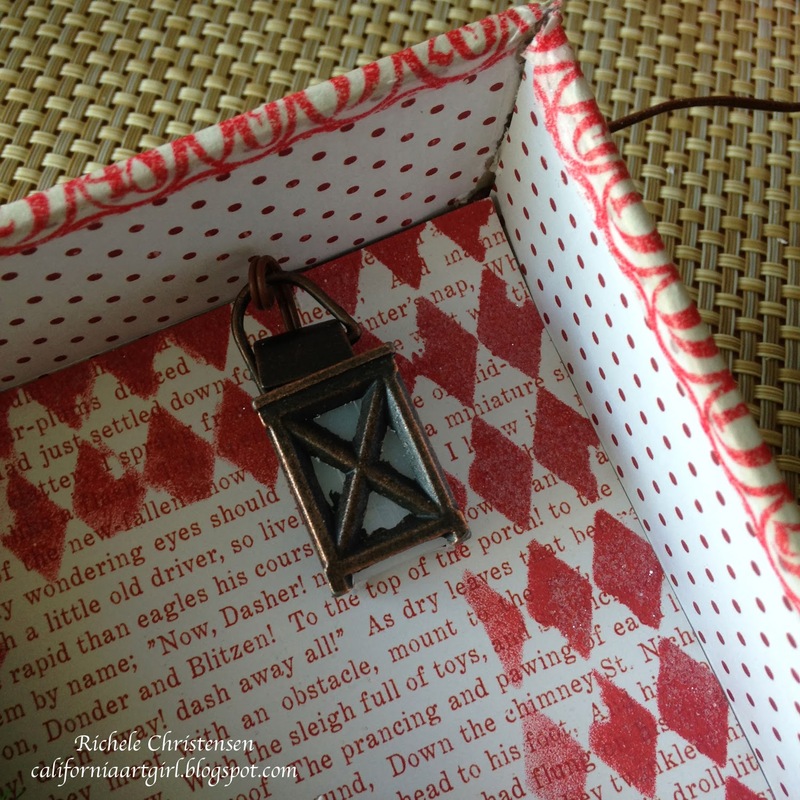 For the Mini Lantern installation cut the corner of the box for the wire to go through. 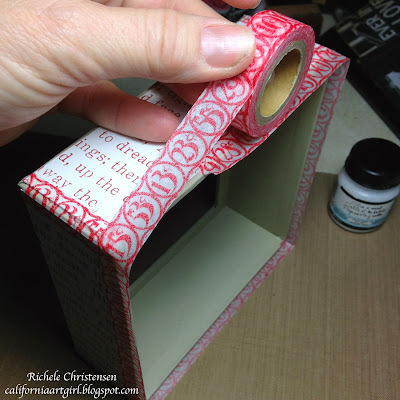 Foam tape the Mini Lantern to the back of the box. 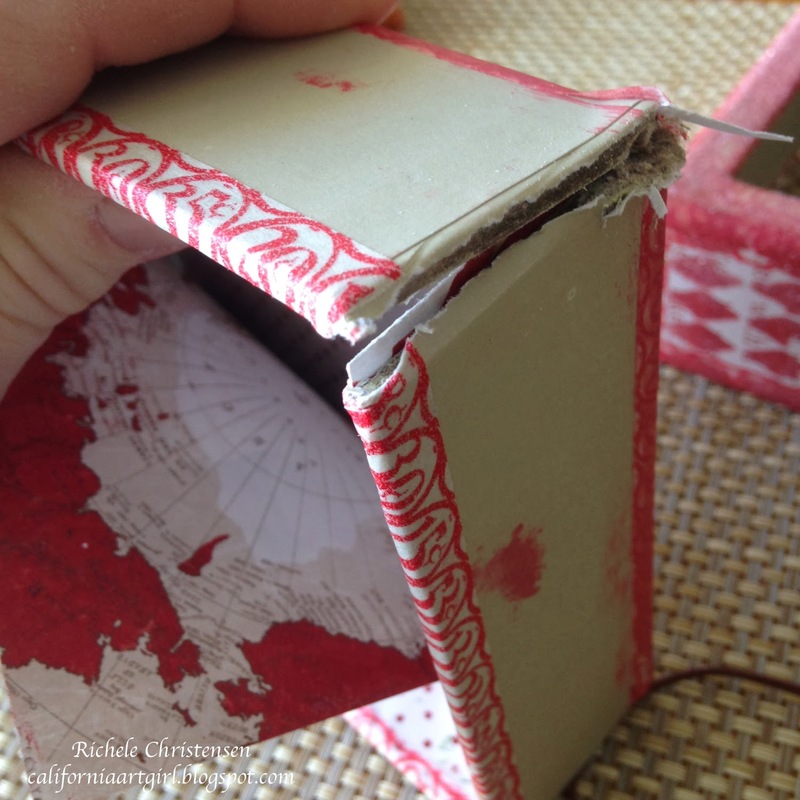 Run wire behind the backing paper and through the corner to the back of the box. Add died Woodlands, mini die cut Reindeer, Mirrored Stars, Red and Cream Trimmings and Striped Paper String. For the outer lid, paint the edges with Fired Brick Distress Paint and add Rock Candy Distress Glitter before the paint dries. Let dry. 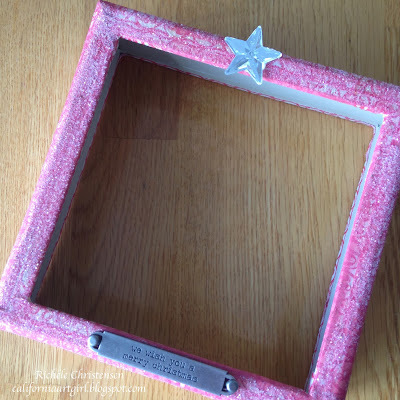 Adhere Christmas Word Band and a large Mirrored Star. Velcro the battery pack to the back. I love how the stenciling added a silhouette in the background. My good friend Paula Cheney is also sharing another project today on her blog. And you should check out Tim's card. Leave a comment and I have 2 Harlequin Layering Stencils to give away. I'll be back on Monday to announce the winners!! Hi friends! I'm so overwhelmed with all your comments! Thank you so much! Lovely background. Festive card. These stencils are so fun. Would love to have one of the new ones. Thanks for the giveaway. I love your card and how you softly layered the Harlequin and Hollybough stencil pattern for the background. It's gorgeous! Thanks for the awesome giveaway!! The next winners are from the Halloween Configurations. People that completed and posted their completed Configurations before November 15th were eligible. 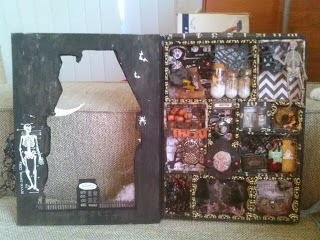 Great job ladies I loved seeing what you created! All the winners please email me your address! 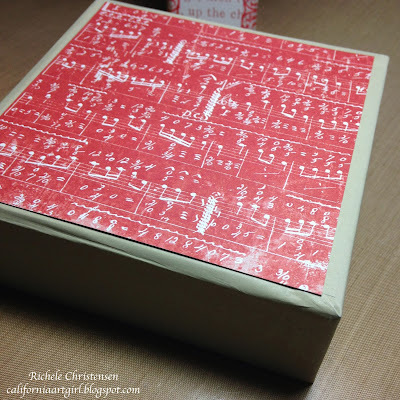 I'll be back soon with another stencil project and give away! Hello friends! 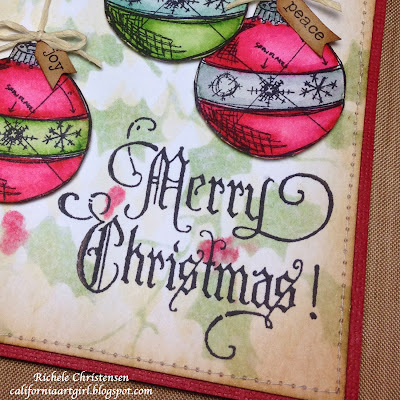 I'm back from Boston where I taught 3 Holiday Classes at Absolutely Everything in Topsfield, Mass. Such an amazing store and the ladies were so nice. Are you all getting ready for the holidays? Christmas is right around the corner. I can hardly believe it! My card features the NEW Tim Holtz Stencils by Stampers Anonymous. 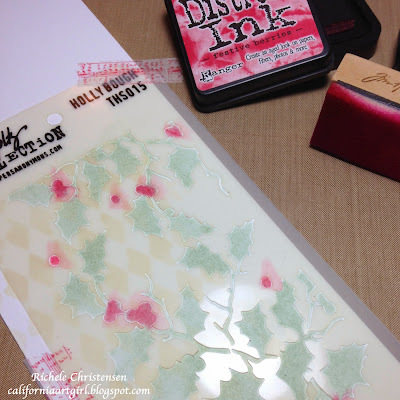 I'm giving away the Holly Bough Layering Stencil to 2 lucky winners on Friday so be sure to leave a comment at the end of the post. Tape down the new Harlequin Layering Stencil to a piece of Ranger watercolor paper. 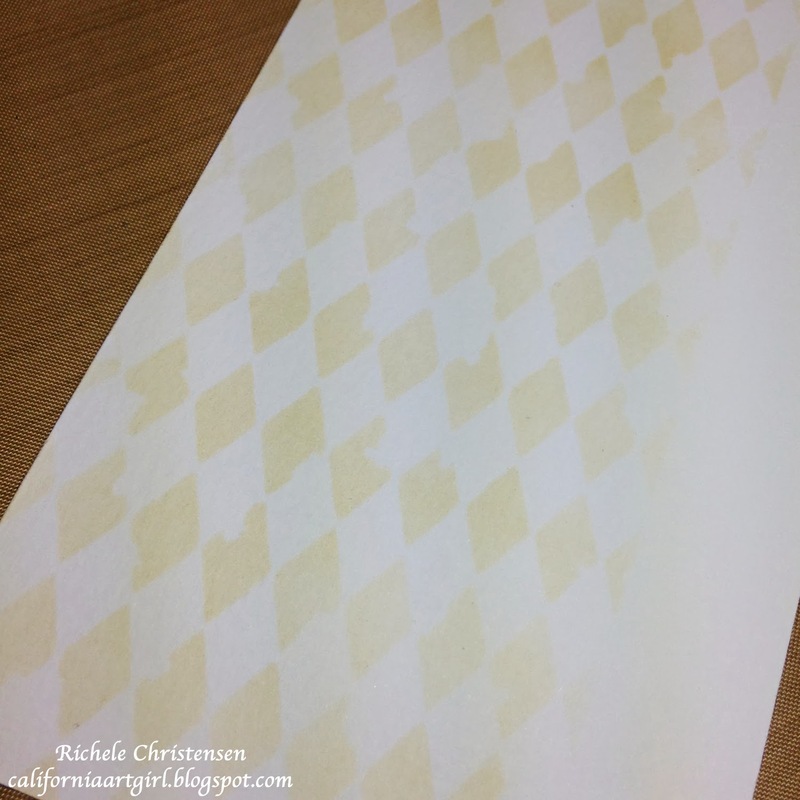 I love this watercolor paper, one side has a smooth finish that is just perfect for our technique. I colored through the stencil with Antique Linen Distress Ink on an Ink Blending Tool using a pouncing motion. Carefully lift the stencil. You can see that I colored to created light and dark areas. Position and tape down the Holly Bough Layering Stencil over the Harlequin. 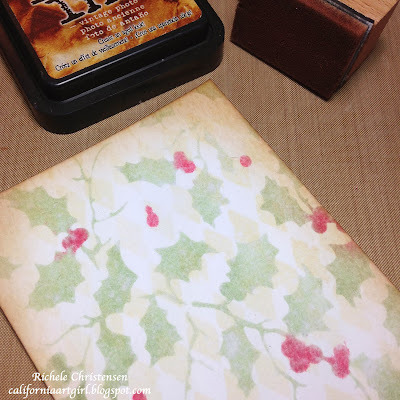 Color the holly leaves with Bundled Sage Distress Ink using the same technique as above. 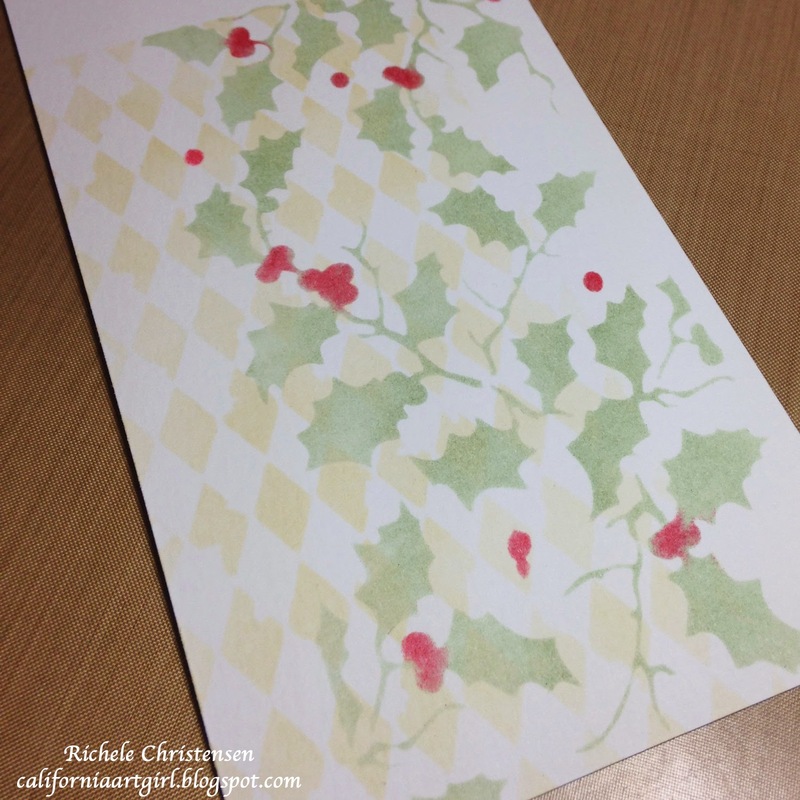 Color the berries with Festive Berries. 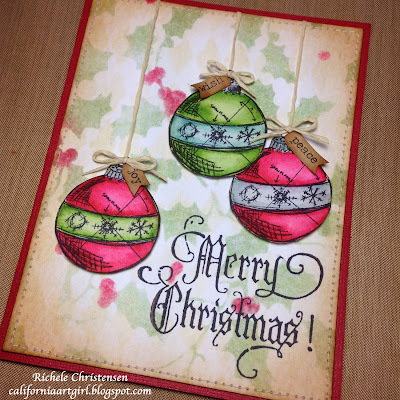 Stencils are a great way to create a fast background for our card. Trim the background to size. 4" x 5 1/4". 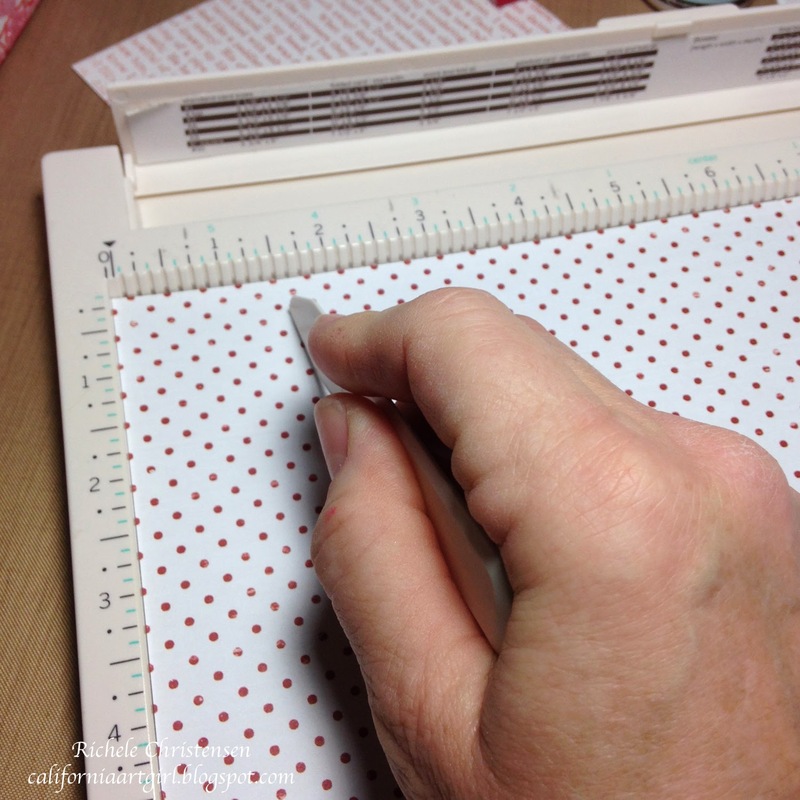 Stitch around the perimeter if desired. 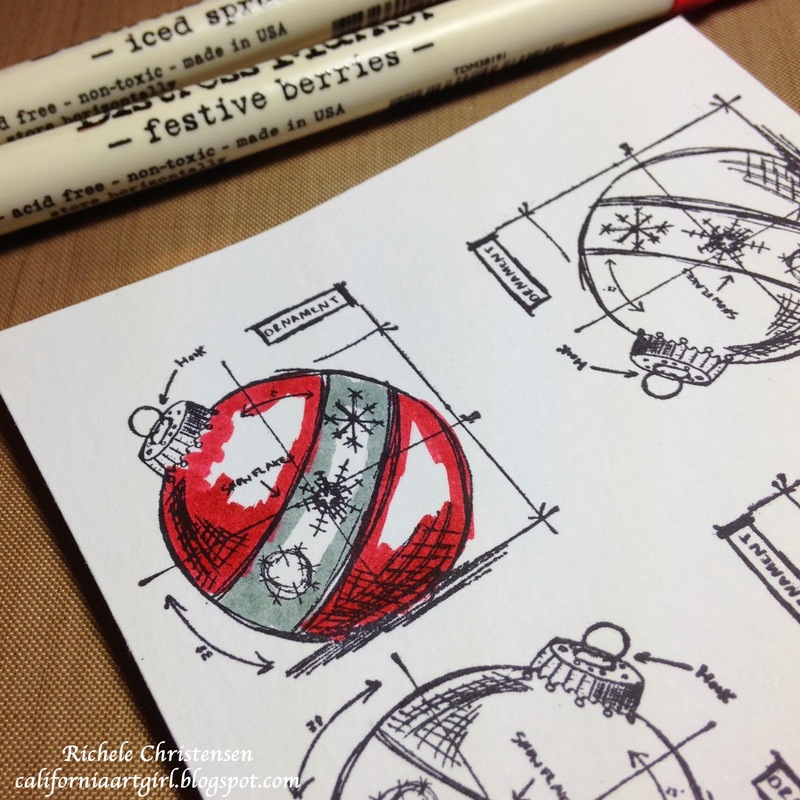 Stamp 3 christmas ornaments from the Mini Blueprint set with Jet Black Archival Ink onto Ranger's watercolor paper. 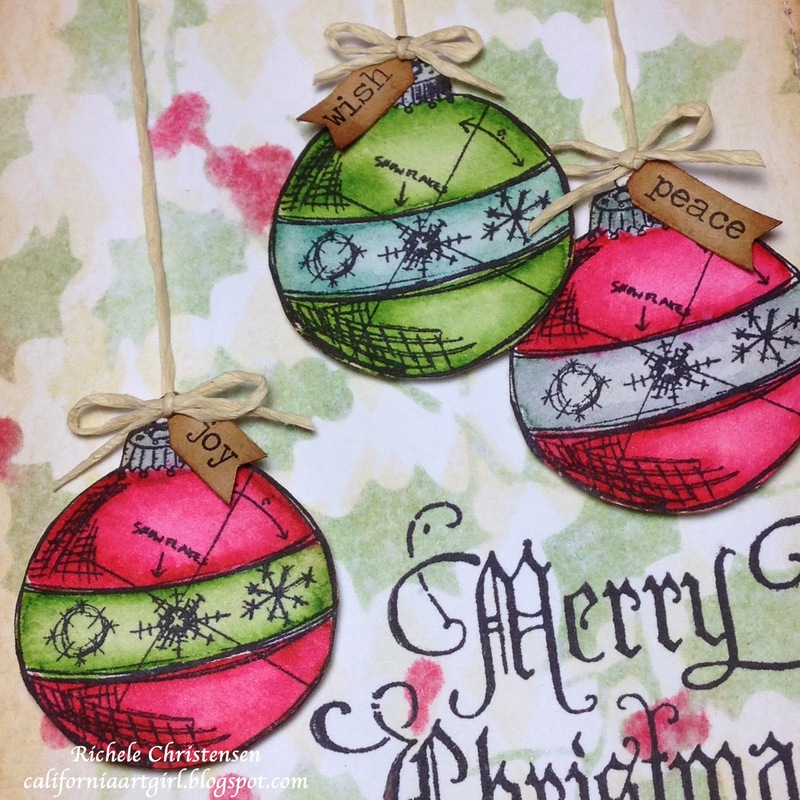 Color the ornaments with Distress Markers. 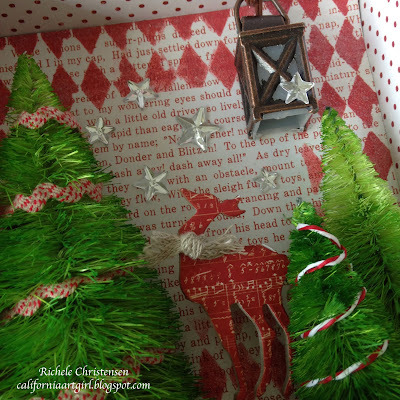 I've used colors from the new set, Festive Berries, Mowed Lawn, Iced Spruce and Evergreen Bough. Color the outer edges of the ornaments then using the Detail Water Brush blend the colors to the center keeping a lighter area in the center. This will give the ornament shape. Cut the ornament out with scissors. Use Paper String to hang the ornaments on your card. I separated the strand to make a thinner hanger and bow. 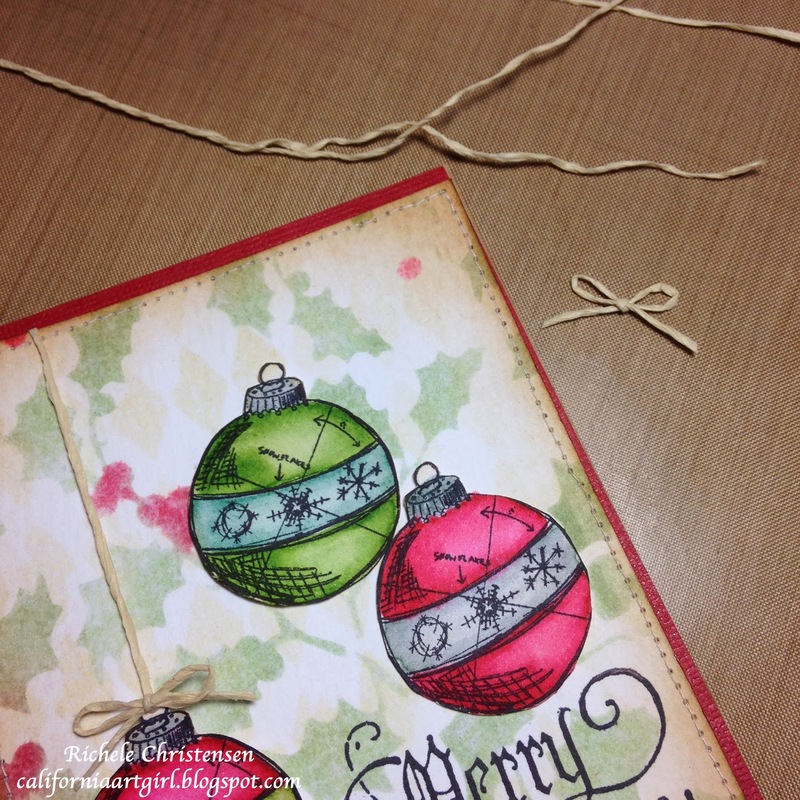 Use foam tape to adhere the ornaments to the card and don't forget to add the the twine in the back as you adhere them to the card. Add the bow separately. Stamp Merry Christmas with Jet Black Archival Ink. 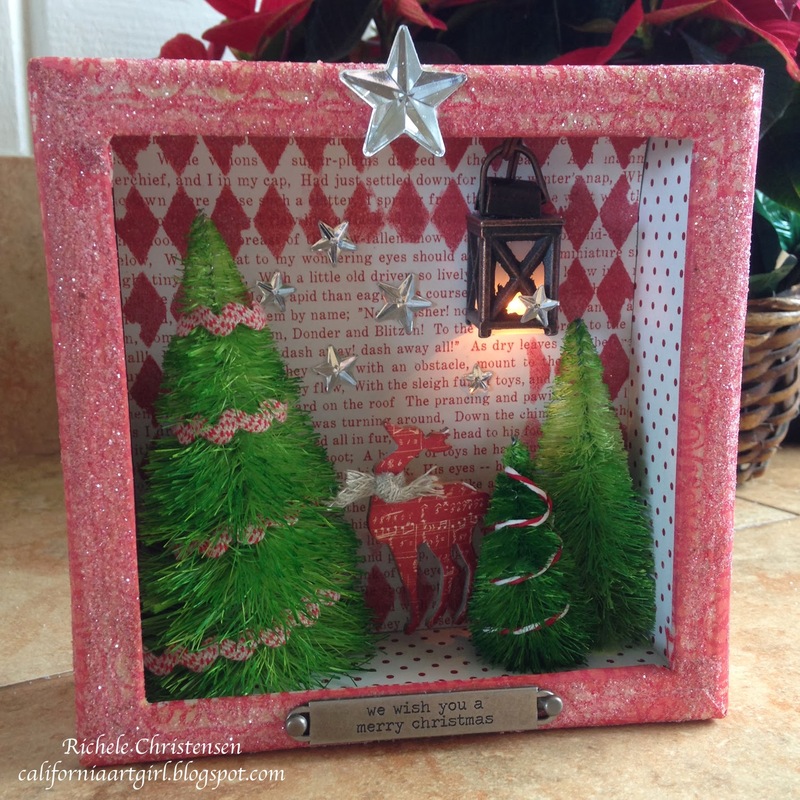 Seasonal Chit Chat adds a nice touch to the top of the Ornaments. Cut a little v off the end and tuck under the bow. 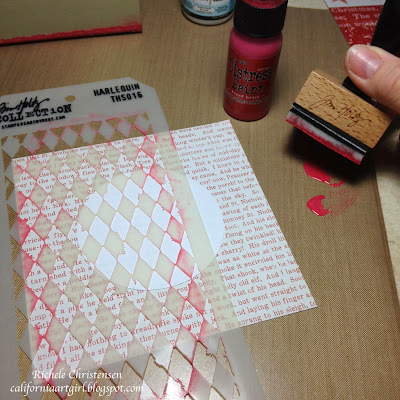 My good friend Paula Cheney is sharing a beautiful card with a great technique using the Harlequin Layering Stencil over an her blog today too! 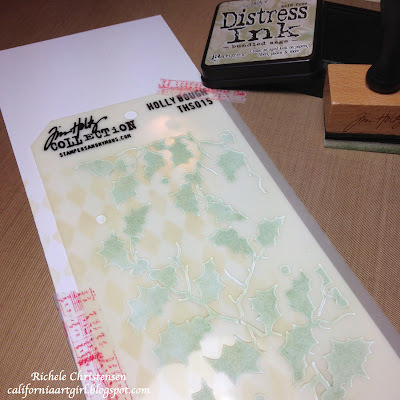 Don't forget to leave a comment here for a chance to win the Holly Bough Layering Stencil, I will pick 2 lucky winners on Friday morning.